QuickBooks accounting software is ideal for small business owners because it can track the essential data you need to manage your finances. To make sure you’re taking advantage of all QuickBooks has to offer, contact us for a free consultation. 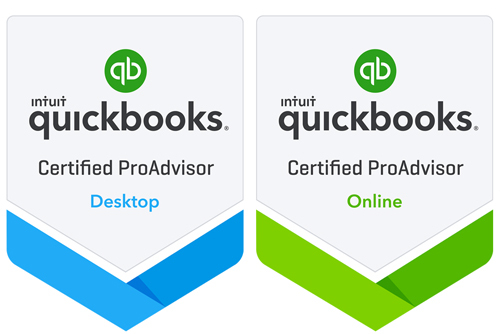 As Northwest Chicago Suburbs, IL QuickBooks Certified ProAdvisors® we’re highly trained on the routine and more complex features of QuickBooks. We can recommend the best version of software for your business, perform the initial setup with ease, and provide ongoing support. We can also travel to your office to conduct on-site QuickBooks training sessions. Call us at 847-593-7558 now to learn more. Making mistakes when setting up your QuickBooks software can result in time-consuming fixes later on. Get QuickBooks setup right the first time when you work with Weiss & Thompson, P.C.. We’ll identify which accounts to import, create templates and map accounts properly for easier tax preparation. Don’t waste time in a generic QuickBooks class learning about functions you’ll never use. We offer QuickBooks training sessions designed around the needs of you and your employees. We can show you how to create monthly reports, streamline the data entry process and share tips that will increase productivity. Our Certified QuickBooks ProAdvisors travel to local businesses throughout the Northwest Chicago Suburbs area. Answers to your QuickBooks questions are just a phone call away when you work with Weiss & Thompson, P.C.. You can count on us for dependable advice and simple solutions to get you back on track when you experience a problem. We can also show you how to avoid additional errors so you can keep your records clean and accurate.